Money Compare are New Zealand’s best insurance comparison website. We can help you Compare and save on NZ’s top insurance policies. Money Compare can help you compare car insurance providers to find the policy that suits you best. Whether you are looking for a new car insurance provider or thinking about switching car insurance providers, we can help you compare the options and save. Compare comprehensive insurance policies, third-party insurance policies and third-party, fire and theft policies side-by-side in one place. Compare New Zealand’s main providers to find the best insurance rates and protect your car for less. • Comprehensive Car Insurance: covers you if your car is stolen or damaged in an accident. It also pays out to other people if your car damaged their vehicle or property. This is typically the most expensive policy available but also provides the most cover. Comprehensive Car Insurance is generally a good option if you want peace of mind, and if your car is expensive enough that you couldn’t afford to repair or replace it. • Third Party Car insurance: is the most basic and cheapest form of car insurance. You are only covered for damage you may cause to a third party, but not for any damage to your own car. This is the best option if you own an older car, or a car with little value. • Third Party, Fire & Theft Insurance: provides third party cover, and also covers you in the event of a fire, or if your car is stolen and needs replacing. This type of policy does not cover repairs to your car, even if you are not at fault for the car accident. For most people, your home and its content will be the most valuable asset you own. With all the providers and policies available out there, it can be time-consuming to gather all the relevant information and choose the best cover for you. Money Compare can help you compare New Zealand’s main home insurance providers all in one place, to find the policy that suits you best. Whether you are looking to buy a new home and/or contents insurance policy, or you want to change home insurance policies and save. Whether you are looking for a comprehensive home and contents insurance policy, or just want to cover the essentials, we can help. Compare New Zealand’s main home insurance providers side-by-side to find the best insurance rates and protect your home and contents for less. We can help you compare AA Insurance, AMI Insurance, ANZ, ASB, BNZ, Westpac, State, Tower Insurance, Trademe Insurance, Initio Rental Property Insurance, Youi, Warehouse Money, Vero, TSB, MAS, and NZI. As with all types of insurance, you should consider the type of insurance that suits your needs, and how much you want to pay for insurance. • House insurance –insures your house against the risk of sudden, unforeseen or accidental damage, like fire or a flood. • Contents insurance – covers the damage or loss of the contents of your home like household possessions, clothes, appliances, furniture, carpets, or curtains. If you are flatting or renting, it is a good idea to ensure your policy includes personal liability cover for damage to the property you live in. • Fixed sum insurance – this is the most common type of insurance cover. You and your insurance company will agree a total amount that your home is insured for. This is the amount they will pay up to if your home is destroyed. • Total replacement – This means your insurer will pay to rebuild or repair your home up to the total size you insured it for, paying all professional fees or demolition costs for the reconstruction process. • Replacement – damaged items are replaced with a new one, or repaired as new. This usually only applied to items under a certain age, and up to a certain limit. • Indemnity (present day value) – this type of cover pays however much the item was worth at the exact time of loss or damage. This means the items are depreciated based on age. New Zealanders love to see the world. When you are sorting out your to-do list before you leave, make sure travel insurance is at the top! Travel insurance can prove to be as important as your plane ticket or passport if something goes wrong while you are away. 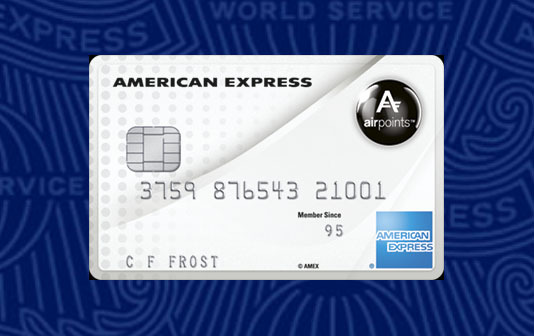 Feel confident that you are covered, so you can relax and enjoy your next adventure. Money Compare can help you compare New Zealand’s main travel insurance providers and find the policy that suits you best. Whether you are planning your big OE, or a long weekend in OZ we can help you find the best insurance deal. Compare New Zealand’s main travel insurance providers side-by-side to find the best insurance rates for your upcoming trip and travel style. We compare policies with all levels of cover, whether you want cancellation cover, lost/stolen documents cover, lost/stolen luggage cover, medical evacuation cover, medical help cover, and travel delay cover. We make travel insurance easy, start comparing plans and find yourself the perfect policy for your upcoming holiday! Whatever type of business you own, you need to guard against business risks. Whether you’re a sole trader, contractor or run your own company, insurance can compensate you or your business for losses. But, you need to make sure you choose the right type of cover for your business. Money Compare can help you compare New Zealand’s main business insurance providers and find the policy that suits you best. Compare public liability, professional indemnity, employer liability and other business insurance at Money Compare today. Compare business insurance policies side-by-side to find the best protection for your business. Choose from a range of insurance options to suit your business needs. We compare policies that cover business assets, business interruption, commercial vehicles, cyber liability, employers’ liability, machinery breakdown, professional indemnity and public liability. Having health insurance can give you peace of mind that you can get the medical treatment you need when you need it. Whether you are deciding whether to buy health insurance or thinking about switching providers Money Compare can help. • Give you more choice when you receive treatment for qualifying medical conditions. For example, it could enable you to have elective surgery (e.g. a hip replacement) at a private clinic sooner than if you waited to have the surgery at a public hospital. • Give you faster access to treatment by avoiding public hospital waiting lists. • Ensure you faceless financial stress for the cost of private treatment or time off work. 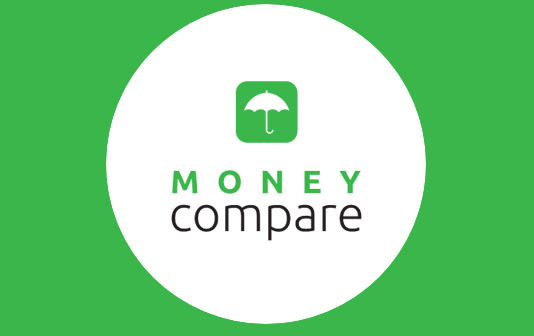 Money Compare can help you compare New Zealand’s main health insurance providers and find the policy that suits you best. Instantly compare NZ’s top health insurance policies and save. Compare policies that cover hospital treatment, GP visits, non-surgical treatment, cancer care, dental, diagnostic tests, surgical treatment and more.